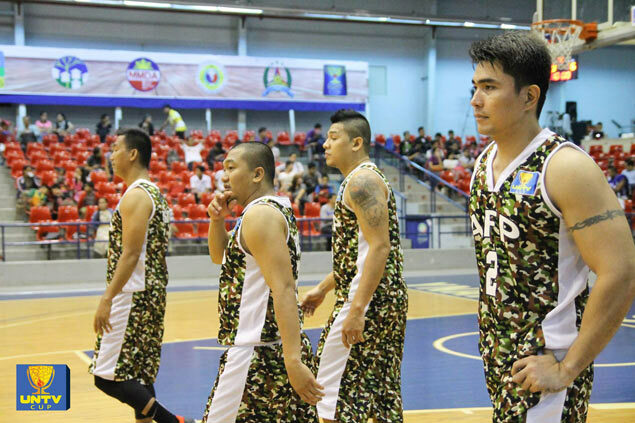 Former Letran star Boyet Bautista starred for AFP’s strong third quarter attack that saw them outscore the PNP Responders, 33-21, in the period. Group A – Senate (4-1), AFP (4-1), PNP (3-2), BFP (3-2), GSIS (2-2), DOH (1-4), COA (0-5). Group B – Malacanang-PSC (5-1), Judiciary (5-1), NHA (4-1), DA (2-4), PDEA (2-4), DOJ (1-3), Ombudsman (0-5). JUDICIARY closed out its first round campaign with a bang as the Magis clobbered the Philippine Drug Enforcement Agency (PDEA) Drug Busters, 126-82, in the 6th UNTV Cup on Thursday at the Pasig City Sports Center. Ex-PBA players Chester Tolomia and Warren Ybanez continued their hot form, firing 24 and 23 points, respectively, in leading the Magis to their fifth win in six game to top Group B. Both Judiciary and Malacanang-PSC finished the round with similar records but the former took the top spot due to the winner over the other rule. Also advancing to the second round were National Housing Authority which outlasted Department of Health, 87-81, in another Group B action and former champion Armed Forces of the Philippines which downed reigning titlist Philippine National Police, 100-92, in the lone Group A match. Also shining for the Magis were Court Administrator Jose Midas Marquez and ex-pro Don Camaso who tallied 14 and 13 points, respectively, in the event organized by UNTV president and CEO Daniel Razon for the country’s public servants. Former Letran star Boyet Bautista starred for AFP’s strong third quarter attack that saw them outscore the PNP Responders, 33-21, for an 80-73 lead. The wily guard finished with 20 points aside from posting three steals and two rebounds while Jerry Lumongsod and Roger Araneta combined for 27 points. The chosen charity of the champion team will receive P4 million while the runner-up’s charity will get P2 million.